Opening a can with grace isn't easy. Even if your can opener is sharp enough to get the job done, you often end up with a detached lid floating in your food, forcing you to fish it out and risk getting a nasty cut. 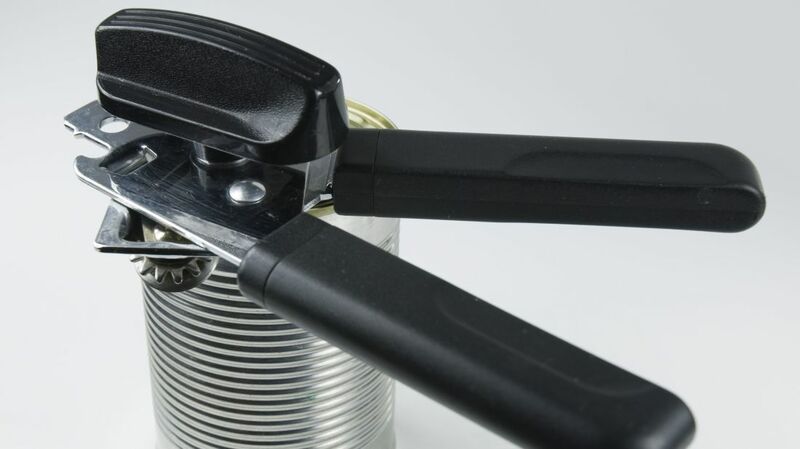 Fortunately, it is possible to remove and dispose of your jagged can lid seamlessly, and you don't need to buy a new kitchen gadget to do so: You just need to rethink the way you use the can opener you already have at home. A tweet that was shared on August 10 demonstrated how simply adjusting the position of your can opener can improve your life in the kitchen. Instead of hinging the can opener on the lip of the can so that the crank faces out to the side, have it face up toward the ceiling. Turn the knob like you normally would, and then once you've completed a full rotation, lift the opener away from the can. Thanks to that extra strip of metal the lid should still be attached to the can opener. Now you can move it over to the trash bin without getting your hands dirty. The original Tweet has since been deleted, but YouTuber Calvin Zolinas recreated the hack in the video below. After seeing how it's done you can dig a can out of your pantry and try out the trick for yourself at home. Plenty of common kitchen problems—like fast-wilting greens and slow-ripening avocados—can be solved with some simple hacks. Check out this list for more culinary tips.